In case you needed some good news to kick off the weekend, we've got you covered: For the second time this week, you can get your hands on some free Taco Bell. Best of all, it'll come delivered right to your door. Really. 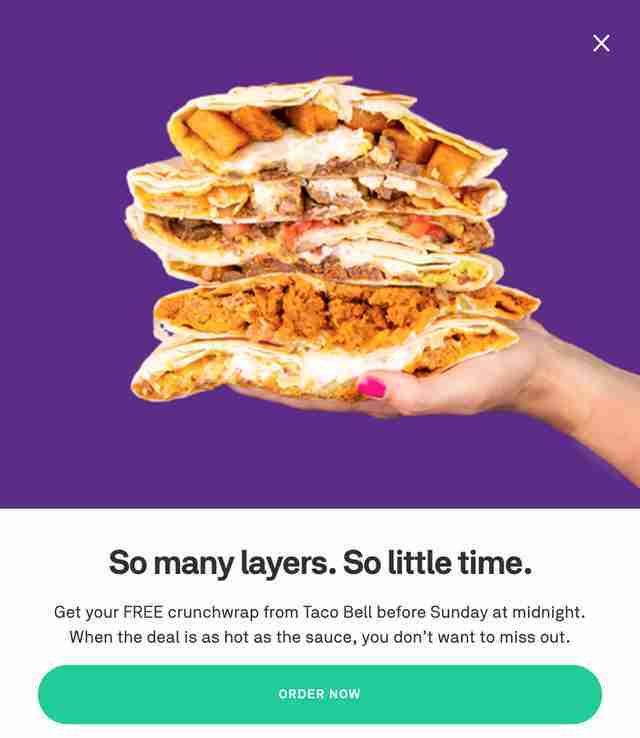 Mere days after Taco Bell doled out free Doritos Locos Tacos all across America for the NBA Finals, Postmates unleashed a new deal on Friday that will get you a free Crunchwrap -- delivered from your local T-Bell -- this weekend. The popular delivery app is offering the hexagonal specialty taco-wraps for free from now through Sunday, June 17, according to a company spokesperson. The deal is available in all of the 50 markets across the country where Postmates has delivery people, including New York, Miami, Charlotte, Chicago, Denver, Los Angeles, San Francisco, Seattle, and more. In other words, you're gonna need some Fire Sauce. The free Crunchwrap deal comes with a bit of fine print, though. Postmates charges a $5.99 delivery fee -- you know, for the convenience of getting Taco Bell delivered to your door so you can wolf it down in the privacy of your home. The service will also tack on a $1.99 "small cart" fee if your subtotal is below $12, so you're going to need to order more than just the free Crunchwrap in order for the deal to be worthwhile. Then again, there's a good chance your usual Taco Bell order is much more than just a Crunchwrap anyway. Still, there's also a good chance the delivery fee is a deal breaker. You have time to weigh this before the weekend's up. 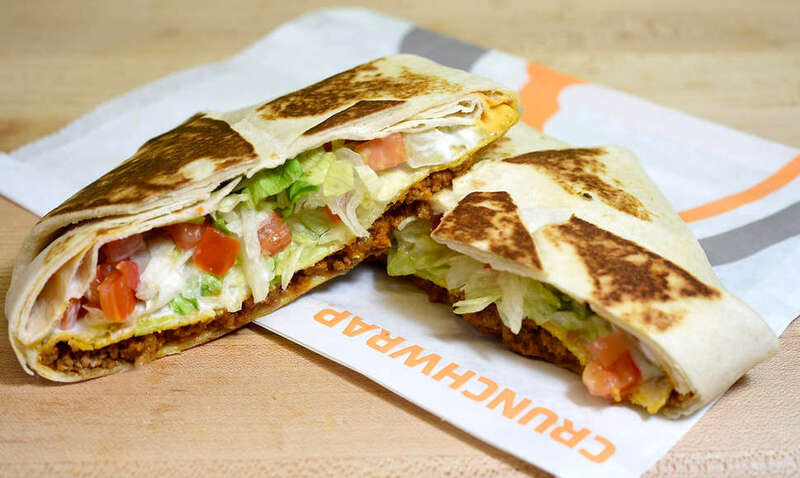 All that being said, the free Crunchwrap makes a whole lot of sense if you were already planning on eating Taco Bell this weekend. If not, well, it certainly makes the idea a bit more appealing. Tony Merevick is Senior News Editor at Thrillist and is going to need some more Fire Sauce, you guys. Send news tips to news@thrillist.com and follow him on Twitter @tonymerevick.